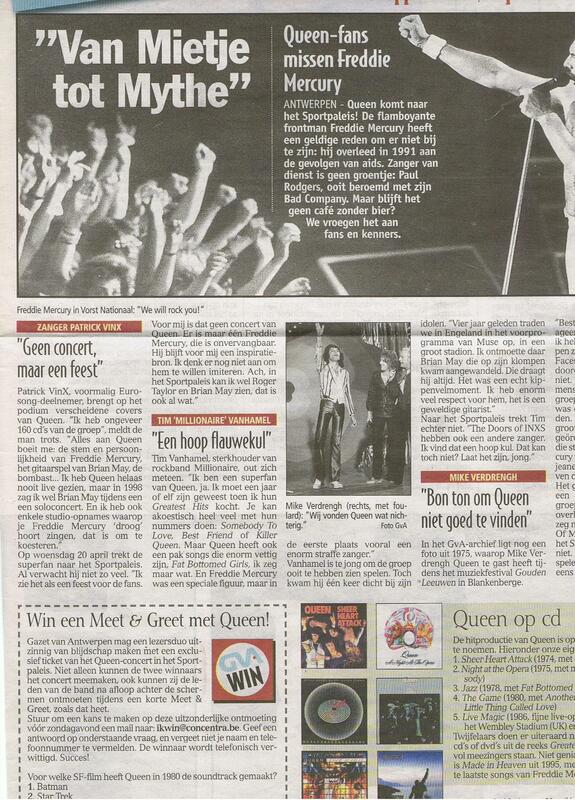 Queen made an appearance at the Gouden Leeuwen (Golden Lions) Festival in the summer of 1975. They reportedly mimed Killer Queen, and received an award as well. Various artists also performed and/or received awards on the day, including Rory Gallagher and Eddy Wally. Here is a (comparatively) recent article about the event, submitted by Raf Foubert. Coming off the high of their first Japanese tour, behind the scenes it was actually a very trying time for Queen, as they were virtually broke. In a 1999 interview with Mojo magazine, Roger Taylor recalled: "We came back after being demi-gods and playing five nights at the Budokan or something [ed: two, actually] and I went back to my bedsit in Richmond, 120a Kew Road. We were still on 60 quid a week." The band's recording/production/management deal with Trident was going sour. In 1977, Brian May revealed the difficulty of having one company encompass these three aspects of the business. In 2011, Brian and Roger opened up much more about this time period in the Days Of Our Lives documentary. Roger was told not to break any drum sticks on stage since there was no money to replace them, and John Deacon pleaded with Trident for a £2,000 down payment on a house only to be met by deaf ears who drove Rolls Royces. The band were in need of new management, and considered many big names, including Led Zeppelin's manager, Peter Grant. 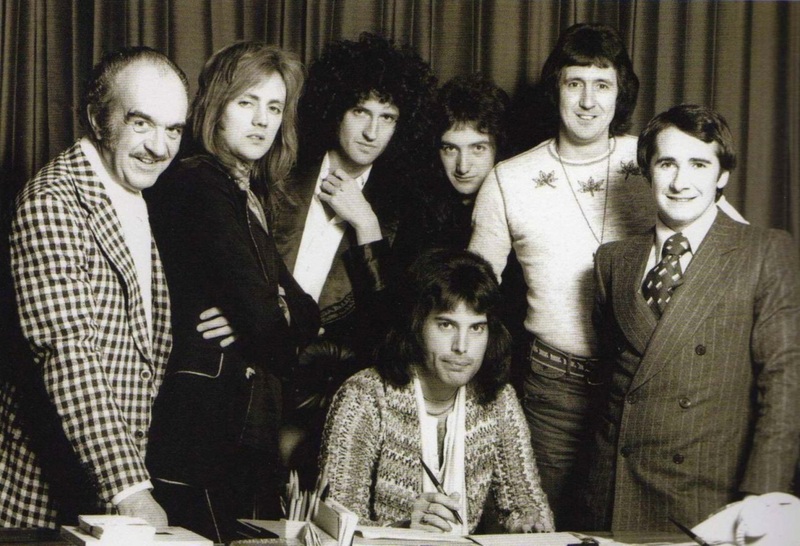 They eventually went with Elton John's manager, John Reid (the exact date of his signing is unknown, but it was first mentioned in the August 16th issue of "Sounds"). He insisted to the band that he would solve their financial and legal issues, and told them to go into the studio and make the best record they could make. They did precisely that. Around this time a US tour was being booked, as seen on this early itinerary (which even made it into Circus magazine). 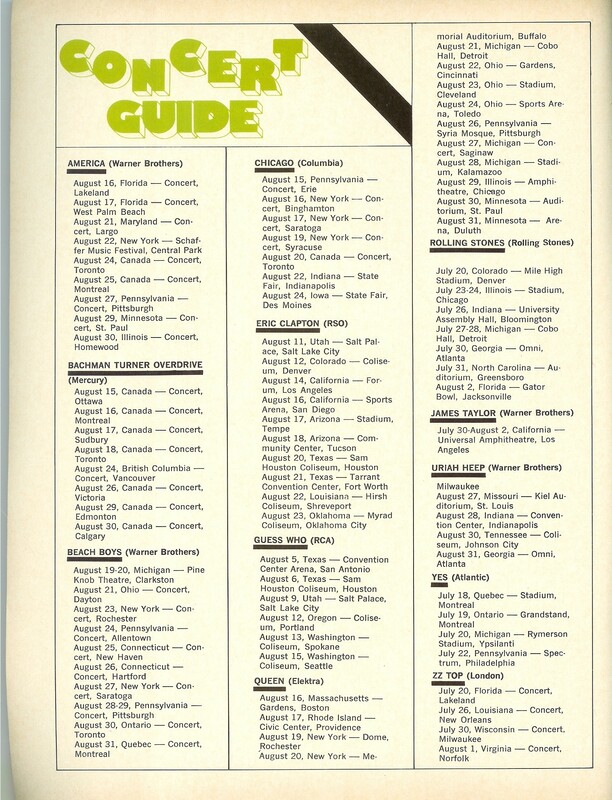 Many of the venues were arenas, and Queen weren't yet popular enough to fill them (they were still playing the US theatres even in 1976, and wouldn't do the arenas until 1977 after releasing A Day At The Races). In a 1977 Australian radio interview, Brian May blames their management for refusing to finance anything to do with them by that point, perhaps unaware of the scope of the proposed tour, as playing three quarters empty arenas would have been disastrous. The dates were cancelled and Queen recorded A Night At The Opera instead. "We never particularly asked for any material gains from what we were doing, but when it came to not being able to afford to even rent your room that you're in, it was just getting ridiculous now, and we couldn't write the album because we were so worried about what was gonna happen," revealed Brian in 1977. "I think the band nearly split up as well, because we all had different ideas of the direction we should be going. We were all very worried about managers and stuff, and it was hard to agree within ourselves what we should be doing. And there's so much politics going on, we had no time to think about the album. We knew that this was the crucial album, and we had to make it a good one." Roger later added that the album was indeed "make it or break it" for the band. Brian has furthermore stated that had the album not been a success, Queen almost certainly would have disbanded.